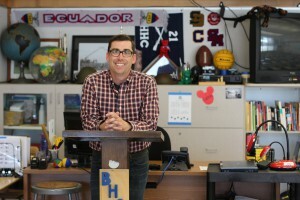 After graduating from UCSB, Emmet Cullen attended the Teaching Certificate Program at UCSB’s Givertz Graduate School of Education. 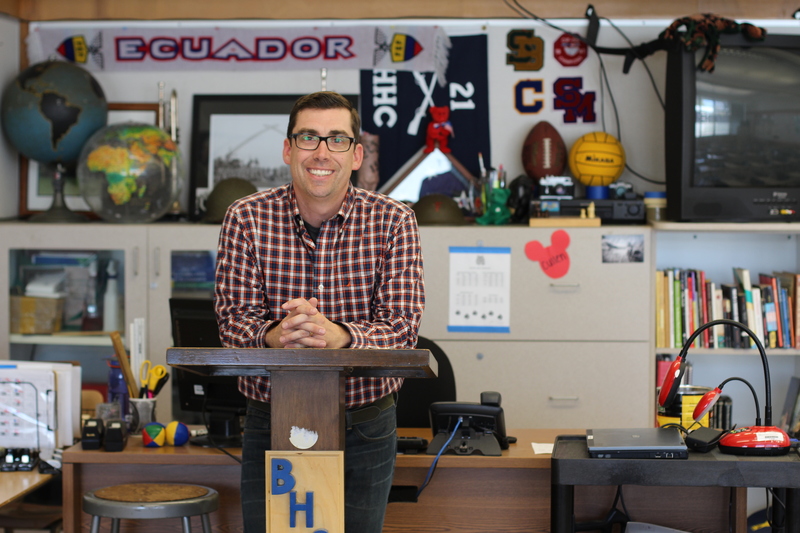 As he indicates here, his formal education constitutes only part of what makes him a gifted and committed high school teacher in the nearby Ventura County Unified School District. “Leaving high school I opted for technical training as a deep sea diver at Santa Barbara City College rather than trying to attend a 4-year university. After working as a diver for a few short years I enlisted in the U.S. Army following the terrorist attacks of 9-11, and served on the front lines of Iraq during 2004, 2005, 2006, and 2007. My time in Iraq exposed me to historic sites from the holy city of Nineveh to the battle grounds of Alexander the Great. At the same time I became interested in capturing the events of my own experiences serving as a sniper in Operation Iraqi Freedom, and developed a knack for photography. Coming home from Iraq I had a lot of questions about my experience, and felt I lacked the ability to share my own experience in a meaningful, thoughtful way.